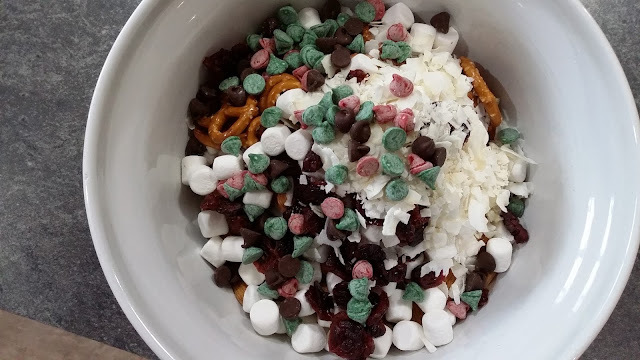 We're having a friend gathering tonight and I had all of the ingredients in my house for this fun and festive snack mix. 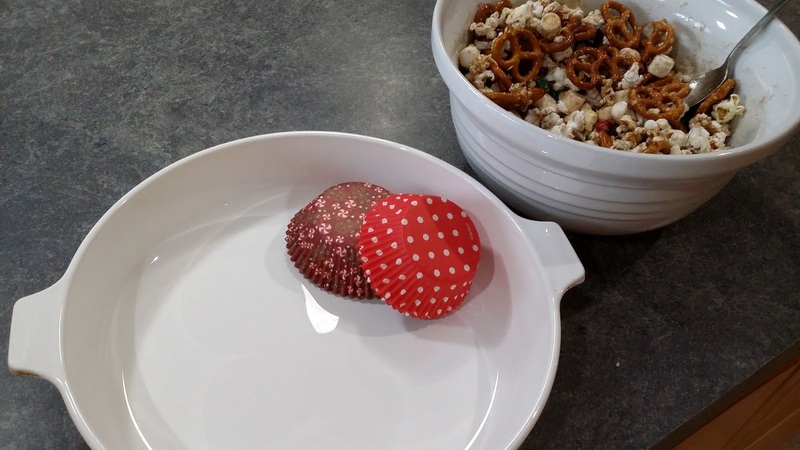 It's quick and easy to make. I figured it would be something munchy for the kids to snack on. It's sweet and salty at the same time. And it has holiday colors. I bought some Hershey's Holiday Baking Chips to make cookies sometime soon. I only used a little for this snack mix, but it adds some of the festive color! Whisk together the melted butter, sugar and cinnamon until sugar is melted. 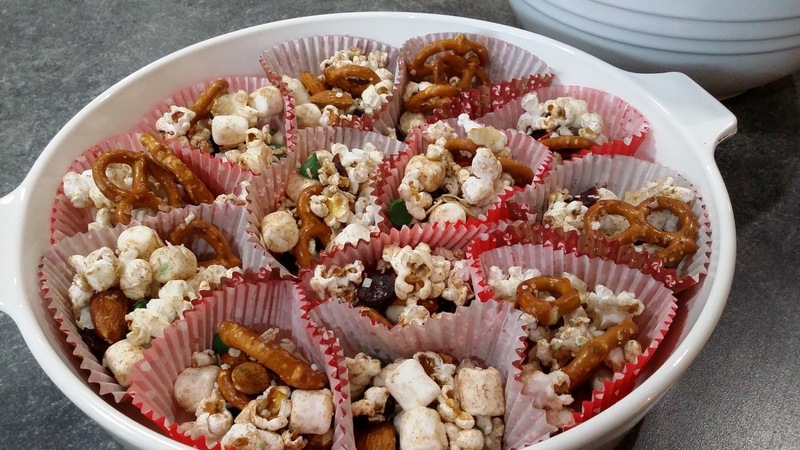 Pour melted cinnamon sugar over snack mix and stir until it's mostly coated with the butter. We put ours into festive colored cupcake liners. That way people aren't tempted to stick their hands into the bowl and they're portion-controlled! This makes about 18 cup-cake liners full.